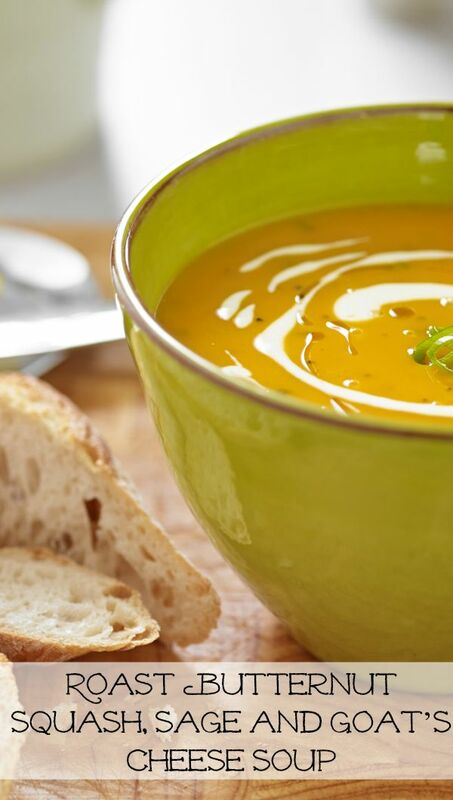 With Autumn here, I’ve been sharing healthy and comforting soup recipes that will make a really satisfying warm lunch. I especially like vegetarian soup recipes like this one. 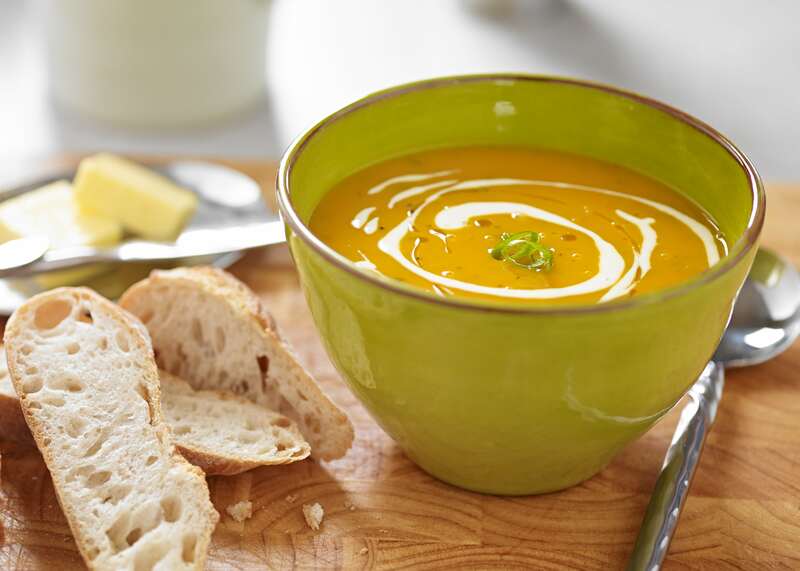 This Roast Butternut Squash, Sage and Goat’s Cheese Soup recipe was created as part of 10 new recipe to celebrate 10 years of Weetons Food Hall in Harrogate – I hope you like it. Cut the butternut squash into large chunks and toss with half the olive oil and honey in a roasting tray and season with sea salt and freshly ground black pepper. Roast for about 30 minutes, turning occasionally, until golden and soft. Add the roasted squash and stock to the pan, bring to the boil and simmer for 20 mins. Remove from the heat and process the soup through a liquidizer in batches for a really silky finish. Return to the pan and season to taste with the lime juice, sea salt and freshly ground black pepper. This looks amazing. I’ve pinned it and can’t wait to try it!